This article is an excerpt from the book "Changing the world through effective youth ministry". It outlines the best way to grow is to keep what you"ve got. Predicament is a creative program idea for teaching your young people what the Bible says we should do in particular situations or predicaments"." This free resource is a Predicament sheet for teaching your young people what the Bible says about forgiveness. This document is a step by step plan for starting a leadership team. It was written in response to the question, What do I do if I work at a church that has no leadership team? This free resource will give you everything you need to hold a special night for the oldest siblings in your youth group. This document is a collection of mixers and icebreakers that are designed to help your group get to know each other better. This document is a collection of memory verse activities designed to help your group memorize God"s word in a fun and interactive way. Learn how to lead effective discussions and get tips on dealing with tricky situations you may face when leading groups. This free resource is a list of guidelines that you can print and give to parents/guardians who attend your youth camps and retreats. This free resource is a list of guidelines that you can print and give to cooks and assistant cooks who help you on your youth camps and retreats. This free resource is a 4 week program created from the ideas collected in the free resources on this website as well as ideas from Creative Christian Ideas and Programs 2 Go. Compline (from the Latin "to complete") is a series of prayers for the end of the day. It is a great way to end the day on camp. This free resource is a personal devotion sheet designed for you, the youth leader, to photocopy and distribute to young people in your youth group to take home and use during the week. This free resource is a detailed schedule for running your own weekend camp/retreat. There are some many things you need to remember to do as you prepare a camp/retreat for your youth group! This free resource will help you with a timeline of what you need to do and when. This free resource is designed for you, the youth leader, to print and photocopy and distribute to the families in your youth ministry. This free resource provides helpful guidelines on how to write a youth Bible study. This is a list of questions designed for a "Spotlight" (Spotlight is like an interview) however, you can use in any kind of sharing or mixing activity. They are laid out so that you can cut them up and place them in a sharing question jar. This free resource is designed to equip individuals with a step-by-step process for discipling another person in the Christian faith. Want to help train others to be active in one-to-one discipleship? This resource gives you leader"s notes and participants notes to work through together. Diese Bibelarbeiten eignen sich für wöchentliche Bibelkreise und Kleingruppen für Jugendliche. Du kannst sie sofort kopieren und mit einem Minimum an Vorbereitung verwenden. German Translation of the "I am" sayings of Jesus from Studies to Go by Julie Moser. Übersetzung: Monika Choroszucha Redaktion: Sigrid Hoffmeister Projektleiterin: Judith Hickel (www.bibelfuerkinder.de). This free resource is a personal devotion sheet designed for you, the youth leader, to photocopy and distribute to young people in your youth group to take home and use during summer vacation time. It is important that the children’s program and the youth ministry in your church have some overlap in content so that the transition between these groups is smooth. There are many ideas and activities in the Effective Youth Ministry youth group programs that are adaptable for ministry to younger children. This program is an example of how you can adapt these ideas for your children’s ministry. This free resource contains a list of some creative ways to start youth group in a way that brings the group together and makes it clear that the group is about relationship with each other and relationship with Jesus. Is it your turn to give the talk at youth group this week?! This free resource will give you some practical guidelines on preparing a youth group talk. This is a detailed program for your youth group to teach on the topic of friendship. This free resource is a "Predicament" sheet for teaching your young people what the Bible says to the Christian person about being romantically involved with someone who is not a Christian believer. This free resource is a "Predicament" sheet for teaching your young people what the Bible says to the Christian person when they are at a party and face pressure to do things they know they shouldn"t. The verses are directed at sexual pressure and abuse of alcohol. This free resource is a simple bible study on self-image. Ready to photocopy! This free resource outlines a step-by-step guide to starting a youth group from scratch. 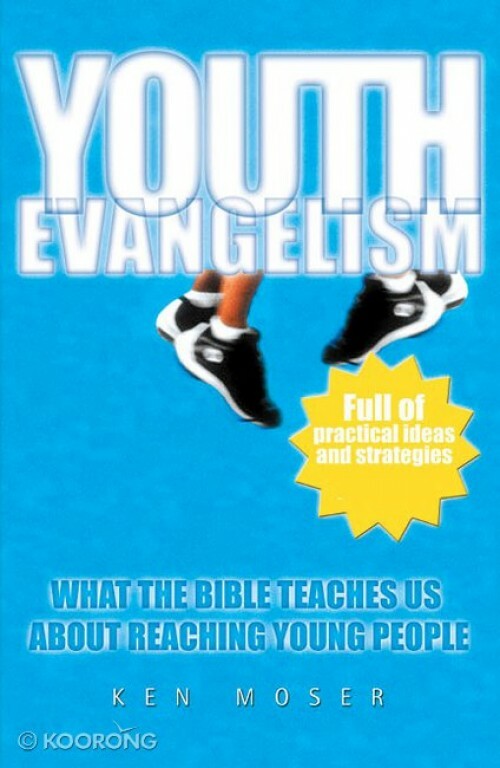 Some of this material is based on Appendix 3 of "Youth Evangelism" by Ken Moser. This free resource provides a discipleship model of youth group designed for Anglican or liturgical youth. It includes a basic program as well as programming ideas that that can be inserted to give your youth meeting a creative and interactive edge. This site is designed to help youth ministers run youth ministries dedicated to effective discipleship and evangelism. It promotes a style of youth ministry that helps churches fulfill the goal of raising up a generation of young people who take Jesus Christ seriously and, who grow in their faith and knowledge of him long after they are young. For an overview of the philosophy of youth ministry this site promotes, click here to watch the Youth Specialties Academic Network Roundtable interview with Ken. There are several FREE RESOURCES that will help you in your youth ministry. Keep watching for new additions to this section. We also have printed resources for sale that have been created out of years of experience. For updates on new resources "like" us on Facebook. You can also sign up to receive email updates by filling in the contact page.